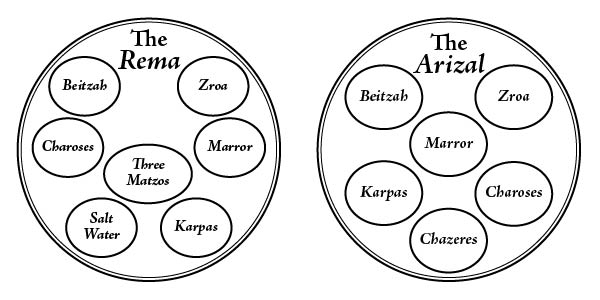 Is my reading correct ,and has anyone seen a seder plate that looks like my drawing based off the Arizal ? I think you should read באמצע as simply being in the middle of the egg and shank, and not necessarily between them horizontally. As the Arizal taught (cf. Shaar Hakavanot 83b), and as your source similarly cites, the order of the seder plate is a representation of the sefirot. The shank represents chesed, the egg represents gevura, and the marror represents tiferet. Tiferet connects chesed and gevura, and is always depicted as being between and slightly below the two. This is because kabbalistically, chesed and gevura are anthropomorphically depicted as the right and left hands, and tiferet is considered the torso (cf. Zohar 1:77b). When arranging the Seder platter, however, the custom of the Sefardic Jews in the Land of Yisrael is to follow the instructions of the Arizal, and as the Kaf Hahayim Sofer cited from the Etz Hayim. Therefore, we place maror (endives) in the center of the platter and we position the lettuce on the side closest to to the leader of the Seder. The word באמצע doesn't refer to the middle of the Egg and Shank. 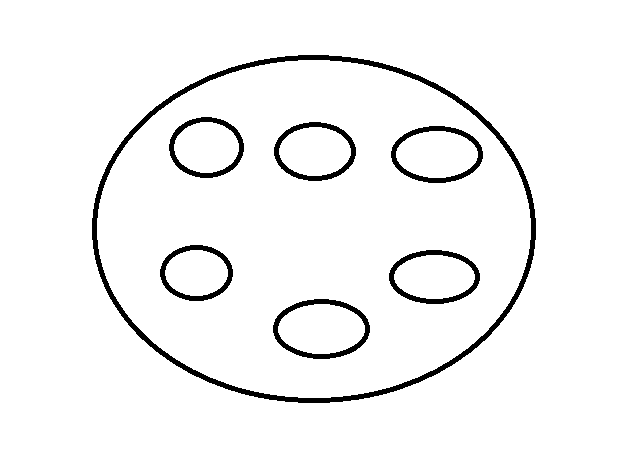 Rather, it refers to the middle of the plate (or the "middle view" of the one looking at the plate). Traditional drawings of the 10 sefirot (of which six are listed here) generally place Tiferet slightly below Chesed (incidentally, several daleds in the quote above are written as lameds) and Gevurah. 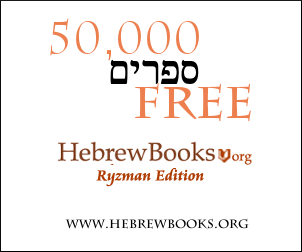 See Sefer Yetzirah for a famous drawing in this fashion. Further, to read the text the way you do would require the Chazeret to also be between the Carpas and Charoses, which your picture does not represent. Not the answer you're looking for? Browse other questions tagged halacha passover arizal . What was the prevailing custom for arranging the seder plate among Bohemian Jewry?